Rotini is a type of helix- or corkscrew-shaped pasta. 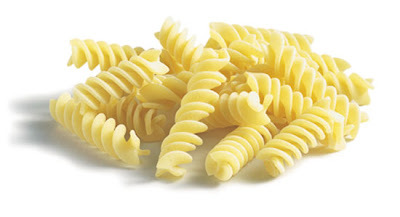 The name is supposed to derive from the Italian for twists, but the word "rotini" does not exist in Italian. 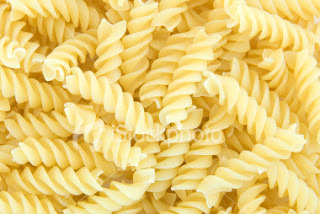 It is related to fusilli, but has a tighter helix. 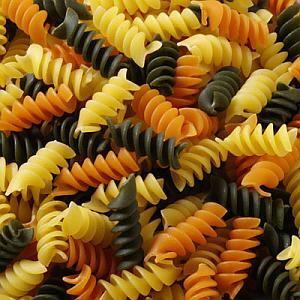 Rotini originated from Northern Italy and the tight twists help them retain a wide variety of sauces better. They are often used in pasta salads with pesto or tomato-based sauces. Rotini is most often made from refined (white) wheat flour, although varieties made from whole wheat flour, brown rice, or other grains are also available. In the US these may also be called colloquially "Scroodle," "Scroodle Noodles", "Scrotini", "Skroodle", "Scroodle Macaroni", or "corkscrews".